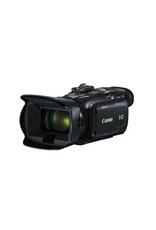 The VIXIA HF G21 camcorder features a Genuine Canon 20x HD Video Lens offering a 35mm equivalent of 26.8–576mm. With advanced elements and coatings, it helps reduce flare and ghosting, producing sharp, clear images with minimal distortion. 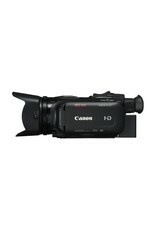 The VIXIA HF G21 camcorder features an 8-blade Circular Aperture, which helps to avoid the “starburst” effect of point light sources in non-circular aperture designs. Out-of-focus areas are smooth, natural and appealing. The professional touch of a manual focus ring allows accurate and precise control. For extra flexibility, the manual focus ring can be easily set to control zoom instead. Advanced HD CMOS Pro Image Sensor. The VIXIA HF G21 camcorder features a 1/2.84-inch, 2.91 Megapixel HD CMOS Pro Image Sensor that captures approximately 2136 x 1362 pixels, for sharp and detailed high-definition video recording. The high sensitivity of VIXIA HF G21’s sensor helps provide vivid, accurate recording through an excellent signal-to-noise ratio. Featuring a low-luminance noise rating of +3 dB, the VIXIA HF G21 camcorder is able to capture clear, sharp images with incredible detail even in low light. 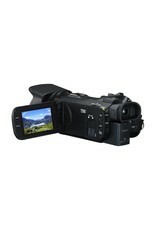 The VIXIA HF G21 camcorder gives you high-quality recording whether you're capturing MP4 or AVCHD files. 1080/60p recording captures twice the amount of information as 60i, and with images captured at a rate of up to 60 frames per second, diagonal noise is virtually eliminated so even fast-moving subjects show up crisply with motion and patterns clearly recorded. This greater sense of detail and faithful rendering of moving edges, plus enhanced colour and fine tonal gradation, gives your video everything Full HD has to offer. And the VIXIA HF G21 can record in internet-ready, easy-to-share MP4 format at up to 35 Mbps. 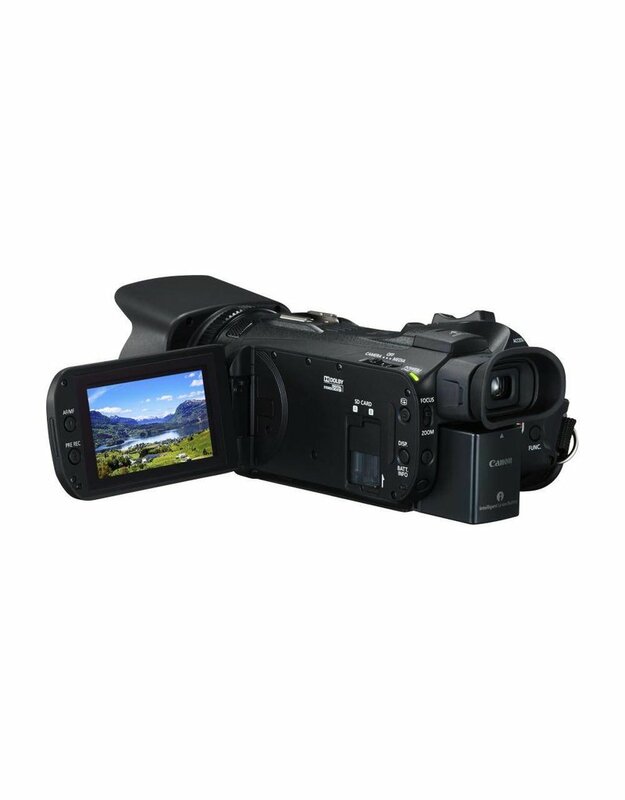 The VIXIA HF G21 also features a maximum bit rate of 28 Mbps for AVCHD recording, the highest in the AVCHD standard. In either format the image quality is outstanding. 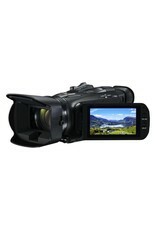 The VIXIA HF G21 camcorder features the Native 24p Progressive Mode, a must for serious filmmaking work. Native 24p matches the frame rate of a traditional film camera, giving the same cadence and temporal motion for "film-like" quality. 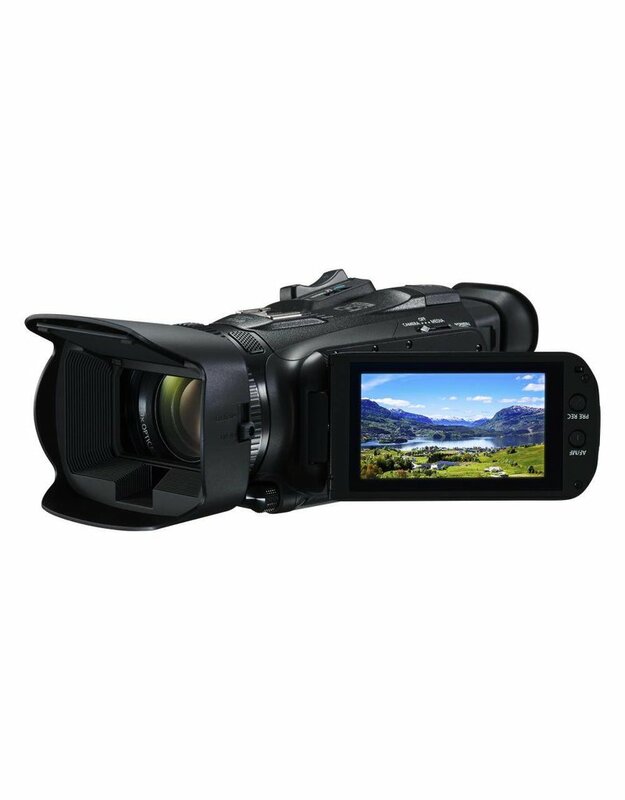 The VIXIA HF G21 camcorder represents our Full HD System, delivering truly excellent image quality and reproduction for most any application. With its 20x Optical Zoom HD Video lens, its HD CMOS Pro Image Sensor and the powerful DIGIC DV 4 Image Processor working together to capture and process the images at hand, the VIXIA HF G21 is positioned to deliver HD video that is nothing short of stunning. The capacitive touch-sensitive Light-Emitting Diode (LED) panel on the VIXIA HF G21 camcorder boasts an impressive viewing angle, colour reproduction, contrast and touch responsiveness. The touch responsiveness of the screen is smooth and sensitive, enabling fluid control of the camera. The VIXIA HF G21 features a 0.24-inch, approximately 1.56 million-dot colour electronic viewfinder with approximately 100% field of view coverage for detailed, accurate composition judgment. The viewfinder can be tilted up to 45° from its normal resting position to enable a great amount of shooting freedom. The VIXIA HF G21 camcorder allows you to record video directly to widely available SD, SDHC and SDXC memory cards with capacities ranging from over 32GB to 2TB. They are available in ultra-fast reading and writing speeds and make it easy to share video. When AVCHD/MP4 recording has continued for 12 hours, it will automatically stop. A variable bit rate is applicable in each case. Double-slot SD Card Recording for Instant Backup. For safety and convenience, double-slot recording allows you to record simultaneously to each of the two SD memory card slots, providing an instant backup for your footage. With Relay Recording, the VIXIA HF G21 camcorder automatically switches video recording from one SD memory card to the other when the first memory card becomes full. Slow and Fast Motion Modes allow the VIXIA HF G21 camcorder to record a different frame rate than the playback frame rate (only in MP4 recording modes), for a fast or slow motion effect during playback. Since the camera is recording real frames and modifying the playback rate, there is virtually no quality loss and maximum image quality is maintained. Additionally, interval recording allows the user to record frames at specified intervals, providing time-lapse recording of up to 1200x and slow motion down to 0.4x of the original speed. For natural and realistic-looking image capture that faithfully represents the scene at hand, the VIXIA HF G21 camcorder features a Wide DR Gamma mode. By suppressing overexposure in high brightness areas of the composition, this mode helps achieve a wide dynamic range of 600% to produce virtually seamless tone gradations, resulting in smooth detail, accurate colour and virtually no blown-out highlights. To capture highly saturated, realistic colours and to convey gradation characteristics as perceived by the eye, the VIXIA HF G21 camcorder has a Highlight Priority mode that achieves effects similar to HDR modes in other camcorders. By reducing the mid- to high-brightness compression of the standard gamma mode, the Highlight Priority mode helps to prevent loss of detail in high brightness areas. Designed for display on a bright LCD TV, videos captured in Highlight Priority mode should be shown at a high brightness setting to help ensure an accurate portrayal of the effect. 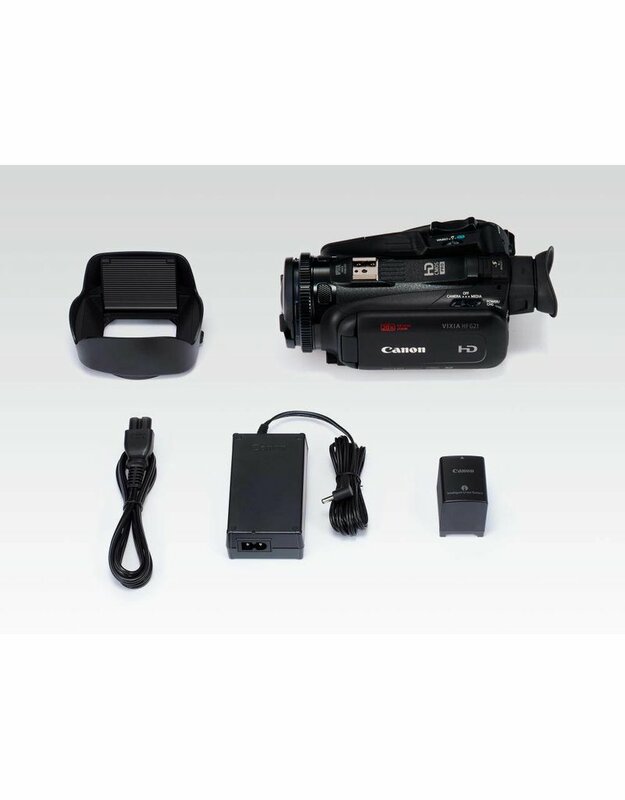 The VIXIA HF G21 camcorder offers a powerful optical image stabilization system suited to help reduce image blur due to camera shake in a wide variety of shooting situations. The different image stabilization options can be selected manually, or Intelligent IS can use an automatic detection system to identify the proper stabilization mode for the situation. 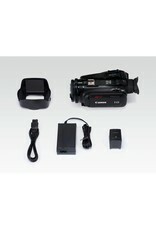 Featured on the VIXIA HF G21 is a Dynamic IS Mode, which provides electronic correction of roll and tilt. The Mini Advanced Accessory Shoe allows you to attach our optional accessories, such as the Video Light VL-5, Directional Stereo Microphone DM-100 or 5.1-Channel Surround Microphone SM-V1.